I will not throw stones at my heart. I will be compassionate with the parts of myself that feel slow to change. I will be gentle with my spirit for it is doing the best it can. I will speak internally and externally with a voice of kindness. 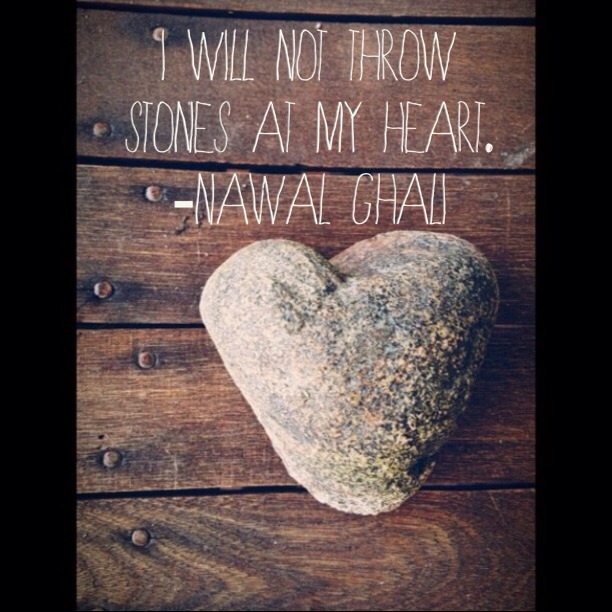 I will not throw stones at my heart.